My brother-in-law’s extended family has holidayed in Pataua North for four generations. When one of the family baches came up for sale, he and my sister bought it. It’s a tiny bach on a spit of land, idyllically positioned with the estuary on one side and the surf beach a hop, skip and jump from the other. Pataua North is a place where generations gather, where you measure your day by the tides - collecting pipis in the estuary when it’s low, launching the tinny when it’s high, and in between times sitting in a deckchair and watching its slow ebb and flow. It’s a place where nightlife is a game of Monopoly or cards and the only way to get to the campground store (only open in summer) is to walk across the footbridge separating Pataua North and South or kayak across the estuary. To reach Pataua South from Pataua North by car you have drive for forty-five minutes around the mainland. I love the tiny fibrelite bach with its lean-to bathroom and the shower that hasn’t got decent water pressure, no matter how much you fiddle with the taps. I love eating blackened marshmallows from salty driftwood sticks around a fire on the beach and watching the little ones paddle for hours as the stingrays drift by. I love that the TV reception is poor and all the kids congregate on the communal back lawn of crunchy kikuyu because there are no boundary fences. I love that sweeping the sand out every couple of days counts as a clean-up. Staying at Pataua North is like taking a deep, fresh breath of tranquility. It takes me back to my childhood when kids ran wild and came to adults when they needed to tattle or be fed, when conversation happened casually, when silences were golden and so were the summers. It seemed the perfect setting for a gentle romance between a psychologically wounded soldier and the widow of his best friend – my June release, BRING HIM HOME. (Though I changed Pataua’s name to fictional Stingray Bay so I could put three boatsheds by the footbridge). Former soldier Nathan Wyatt had no choice but to leave his army buddy to die, a secret that's still tearing him apart. Two years on, he's in Hollywood prostituting his war medal for work as a bodyguard to the stars when his best friend's widow drags him home to fulfil his neglected responsibilities to her family trust. The last thing he intends is to find himself in a love triangle with his dead best friend. 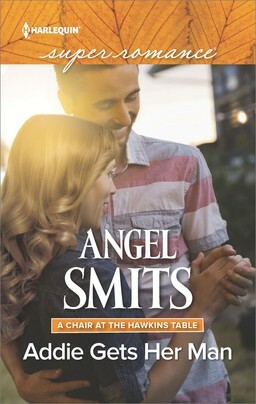 Will admitting the truth - all of it - set him free, or alienate the woman he's come to passionately love? I can’t wait to leave a copy on the bach’s bookshelf. How about you? Got a favorite place you like to retreat to? Whether it's a park bench, a coffee shop, a holiday destination or a book. Note: The picture is of my niece, Cassie, who has appeared in two of my books, SECOND CHANCE FAMILY and STAND-IN WIFE. PS: Looks like I've made it to the third round of DABWAHA.If you enjoyed HERE COMES THE GROOM, I'd appreciate your vote on March 22/23! I retreat to The Sunshine Coast QLD. I have family there & the beaches are absolutely pristine. It's a wonderful place to unwind. I can relate to your love for the family's holiday home. I retreat to Kawau Island for regeneration and relaxation. You can check out photos on my Facebook timeline. We often go up just for a night and time seems to stand still. I always feel as if we've been away for a week! Hi Marybelle, the Sunshine Coast is one of my favorite places. I've been there twice and hope to make it three one day. Tony, Kawau's a special place, for non-Kiwi's you can only reach it by ferry. My niece is still too young to appreciate her role as my muse. I hope she'll enjoy the books when she's older (much older says her mother). You know what I love?...that I can only understand half of your post cause I haven't a clue what many of those things are. LOL. But I get it. I love the slower pace I get when I go to our camp on lovely Caddo Lake. Something about a red solo cup of wine, a pier and a sunset that you just can't recreate anywhere else. Love my kids playing ball in the backgroud while my husband rides past on his beloved orange tractor, happy as a pig in mud that he gets to play farmer for a few hours. Something about getting away and being forced to forget about email, cellphones and all those billion things that need doing that restores the soul. As a kid we would spend the summer at a campground - swimming, playing pool or pinball in the rec hall, eating soft serve ice cream. Those were the days. Karina, this sounds like such a beautiful story, and I cannot wait to read it. Can't wait to read BRING HIM HOME. I loved the first two books in the series. We have a family cabin in Northern California, at the base of Mt. Shasta. When I say cabin, it's really a house, with satellite TV but we have to drive into town to get internet service. We fish in the summer (ok, so the guys fish, I read or write) and ski in the winter. My in-laws bought the property over 30 years ago and camped there until 2000 when we built the house. My boys have grown up there. They caught their first fish, shot their first soda can with a BB gun, and learned how to ski. We go to the annual 4th of July parade, have Thanksgiving dinner and go night skiing on New Year's Eve. Hi Karina -- your niece is gorgeous! Congratulations on DABWAHA -- and good luck for the next round! Karina, what a lovely hideaway! That is just wonderful, that your family has a long-standing traditional place to holiday. And thank you for teaching me so many new words because like Liz, I didn't know what "bach" meant! I looked it up and now I do! And aack--somehow I missed "Stand In Wife", so I look forward to devouring that and "Bring Him Home" both. "Here Comes the Groom" was so delightfully wrenching. :-) And books are always my favorite retreat! Liz, maybe I should have explained a few terms. Bach (pronounced batch) is a holiday home/cabin. Nothing fancy, very basic. Tinny is a aluminum fishing dinghy. I'm impressed that your husband gets a tractor to play with on holiday. You're right, it's all about being disconnected from the world that makes a place special. "As a kid we would spend the summer at a campground - swimming, playing pool or pinball in the rec hall, eating soft serve ice cream. Those were the days." Marcie R, we had camping holidays as kids too. My father made a game of timing the set up of the awning/caravan. Soft serve ice-cream, yum. 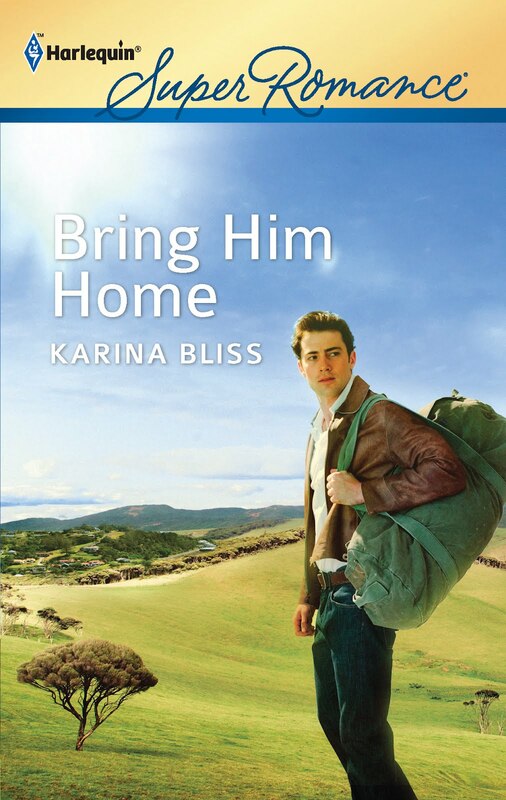 Kristina, I can't wait for you to read Bring Him Home either. Let me know what you think of it. Your cabin/house sounds like another multi-generation wonder. It's lovely to build such traditions with your kids. I'm with you on the fish, I'll eat it very enthusiastically but the book wins over casting a rod. Cassie in the photo above is a great fisherwoman. Her older brother is a "fish"atarian. If you're not going to eat it then it has to be thrown back (his rule came about because she kinda likes to keep fish to play with - not so great for the fish). Thanks Emmie, luck's good on DABWAHA. Category authors usually get their butts kicked from here. Kathy, thanks for dropping by. I must remember to do the Kiwi/American dictionary on future posts! I'm glad you enjoyed Here Comes The Groom, it's going to be a wrench leaving that world. I'm currently writing the last of the four book SAS hero series. I wanted a hero for a bereaved fiancee, couldn't find one good enough so I'm bringing him back from the dead. 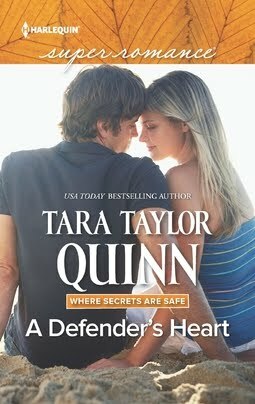 :) It's a plot I always enjoy in romance and so far it's proving a lot of fun. Lovely description of your summer get-away. Your new book sounds wonderful. Can't wait to read it. We had a cottage right on a lake an hour north of the city, and we would move there for the summer! I think everyone of my siblings, me included, have been trying in one way or another to make a home in a similar spot since. And crunchy kikuyu? I'm assuming grass? I love the differences in our languages and cultures. I learn so much from your books (and posts) and that's what I love about Superromances - so diverse with such interesting locales for readers. Ahhh... I can relate! Your niece reminds me of my son between the ages of 6 to 12 yrs. I was forever taking him to the pier or the beach to fish :) He's now 17 and drives to the beach himself :) He still loves to fish and occasionally catches something worth eating! My husband is a mountain person so at least once a year we go camping in the mountains. There's a forestry cabin that we rent. No TV, no electricity :) cell phone coverage is minimal so the kids aren't texting and talking on their cells all day long! They actually are out hiking and hunting and having a grand old time in teh forest! Kate, maybe you and your sibling can buy one together, that's what my sister and her husband have done. Gone in with other family. Liz, yep kikuyu is grass. It's common in Northland, which is very dry in summer so only the hardiest grasses survive without watering. I love your posts for the same reason, I always learn something new about Louisiana and that region of the States. Snookie, your foresty cabin sounds idyllic. No electricity, so it's lights-out really early? Forgot to ask, how do you eat your pipi? Is it a clam? We eat our opihi and pipipi here but they are limpets and nerites and are found on rocks in the intertidal zones. The opihi is far more dangerous to collect as it's usually found in very surgy areas. We eat opihi raw and usually boil pipipi, but sometimes eat them raw also. We have kikuyu grass here too! It was brought in from somewhere in Africa (I believe) for cattle pastures. It grows all over our yard! You dig for them at low tide, generall eaten boiled with vinegar or ground in fritters. Yum. It makes sense that kikuyu is an African grass...it is a very African word isn't it? Interesting that you've got it in Hawaii too. What a widespread export. Rogenna, my hero/heroine are restoring a boat together and I figured I wouldn't offend Pataua locals by dumping my fictional structures in their landscape. Plus Pataua is hard to pronounce, it seemed easier to rename. Dsil's family have a mountain cabin. The last time we went it had been invaded by a very messy pack rat which had to be trappped. Yuck! My retreat is a small tent at a little used, small campground by a mountain lake. Often we have the whole campground to ourselves. A pipi looks very similar to a clam, which we dig a low tide. They are eaten raw by some but mostly cooked. Will go vote for you. Good luck. A pack rat, double yuck. How the heck do you catch one? I guess tents are safer, assuming you're not anywhere near bears. You know I always wondered what clams looked like and now I know...like pipis, only the most common clams look like what we call cockles. Thanks for the education. Oops some of your message ended up at the end of my posting, but hey. Thanks! I don't go much of anywhere, but I do like to sit in the backyard on a bench and read outside. That way I get fresh air and some sun. 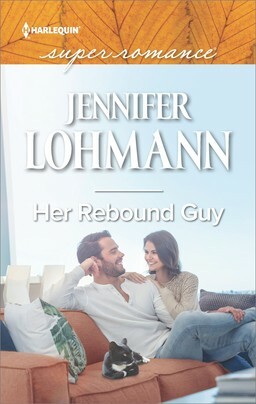 I love the title and the cover of Bring Him Home! And Pataua North sounds well--blissful! The desolate, wide openness of the American Southwestern state of Arizona keeps drawing me back, especially the southern part of the state. Thanks putting such great images of both places into my brain. Linda Henderson, sun ah, we have probably had one of our worst summers. Or a beach and a book. Yes, that would do. 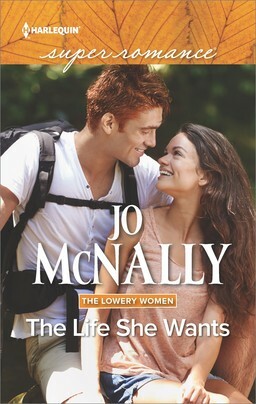 Mary, aren't the new covers great? I really like them. Arizona's on my bucket list.